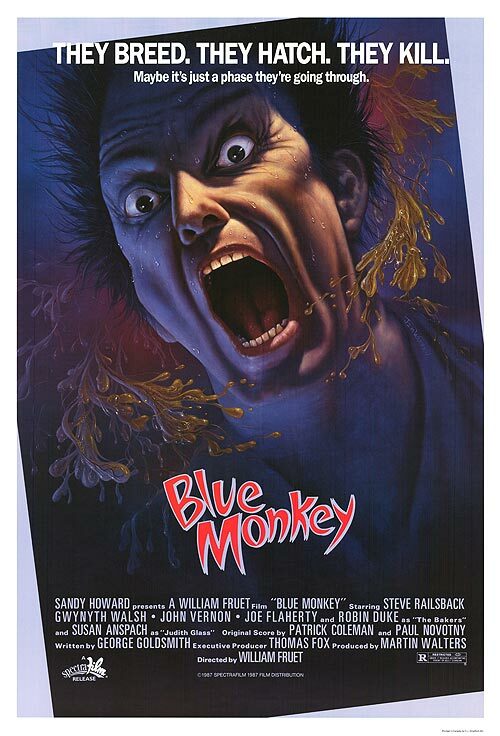 John’s Horror Corner: Blue Monkey (1987), giant slimy insects infest a hospital in this feisty Aliens rip-off creature feature. You’re probably wondering where they got this title? A kid makes a random comment in the movie about a big blue monkey–that’s it. 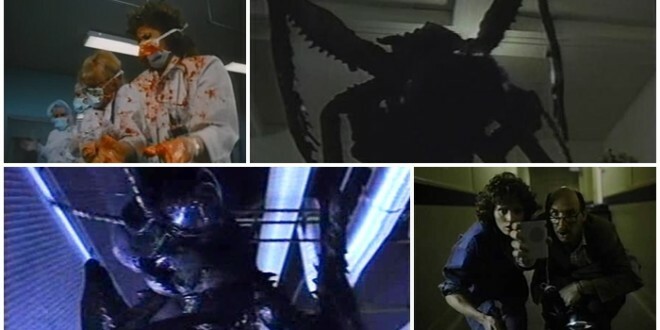 MY CALL: This feisty Aliens (1986) rip-off features a giant mutant praying mantis wreaking havoc in a hospital. If that doesn’t tell you everything you need to know, then I don’t know what else will. 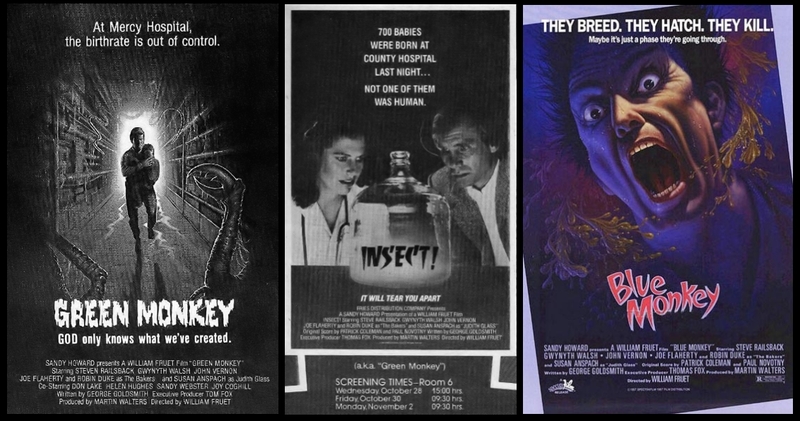 MOVIES LIKE Blue Monkey: Slugs (1989) and The Nest (1988) will deliver loads of creepy crawly 80s horror fun. 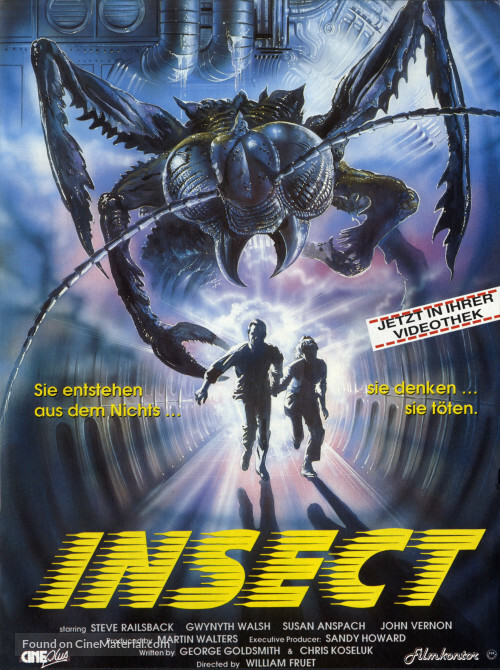 Many thanks to my online horror buddy, Zane, for sharing this bad 80s masterpiece with me. 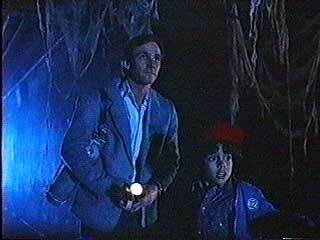 Zane is a true 80s horror aficionado and even took part in making an 80s style horror film: The Barn. So that’s my “thank you” plug for Zane and his movie. On with the review! 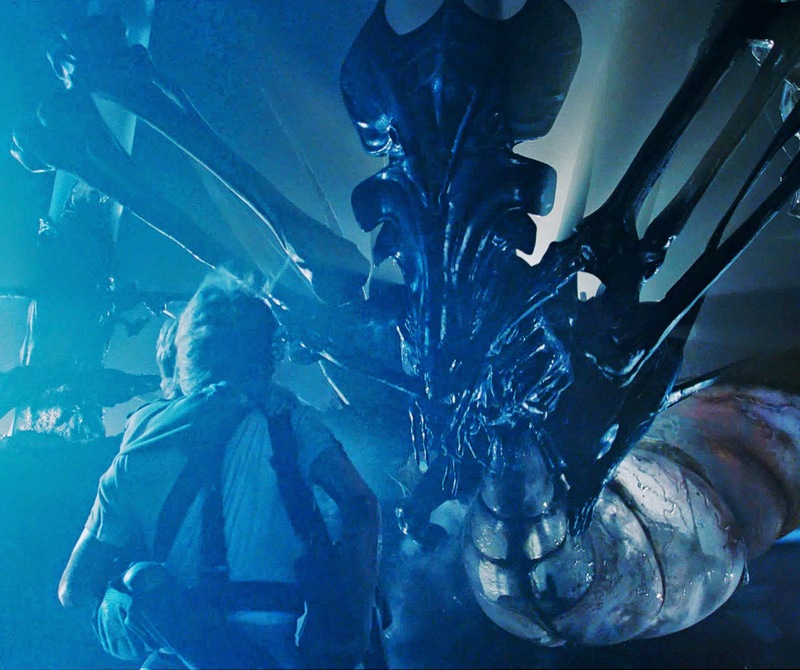 Some playful young patients come across the specimen and unknowingly feed it a “nucleic acid promoter” that augments growth and hormonal activity…so presumably we’ll have a giant mutant bug in no time. Yaaaay!!!! 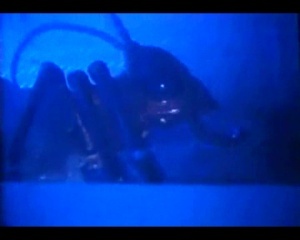 Director William Fruet (Goosebumps, War of the Worlds) has made his filmmaking intentions obvious as Ranger Rick meets slimy science fiction in this feisty Aliens (1986) rip-off in which we emulate the infection scene (in the greenhouse with the plant), chestburster scene, the queen alien egg-laying scene complete with flashing blue background lighting, kids and monsters in ventilation shafts like Newt, and slimy secretions galore from a giant insectoid creature that grows at an alarming pace. 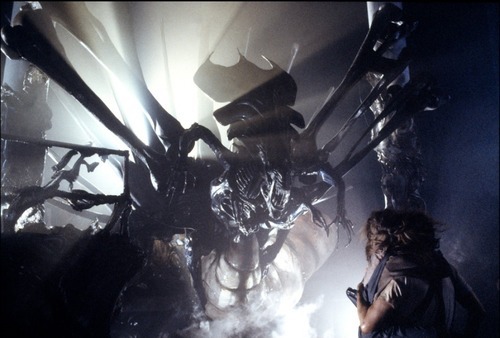 They even reproduce the scene in which the queen xenomorph is infuriated by lighting her egg chamber and offspring on fire. 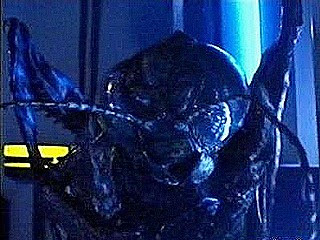 Our biological updates about the praying mantis monster are delivered by the local entomologist (Don Lake; Terminator 2: Judgment Day, Short Circuit 2) and non-scientific exposition comes courtesy of the hospital administrator (John Vernon; Killer Klowns from Outer Space, The Uncanny)–both roles being much appreciated by this 80s horror fan. 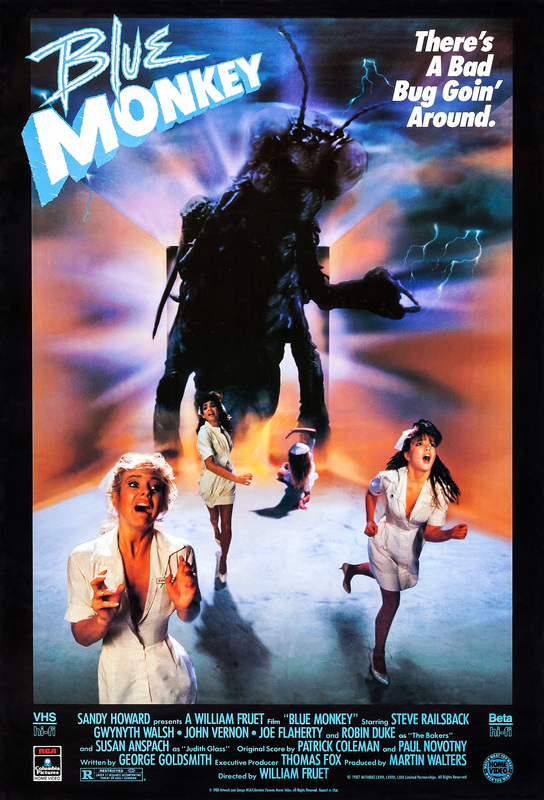 There’s plenty of goofy rubber monster suit action in this fun 80s creature feature. We see a lot of our monster and like Peter Pan across the Broadway stage it swings from the ceiling. It’s laughably awesome and there are a few scenes of festive gore. 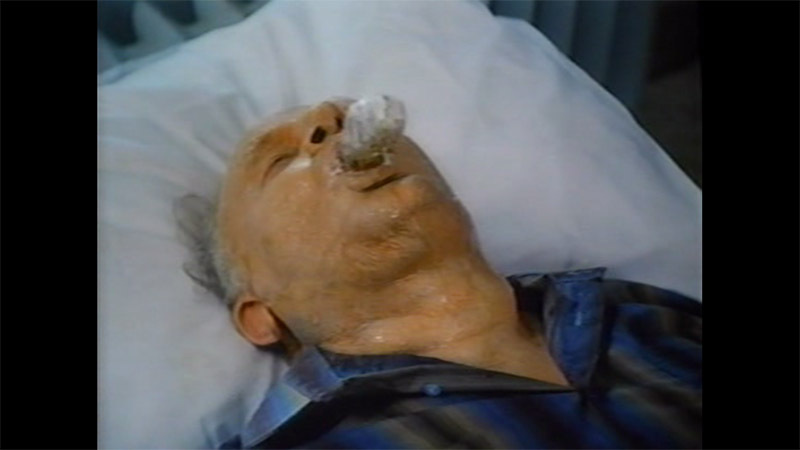 The film ended with a typically campy twist that left a smile on my face. 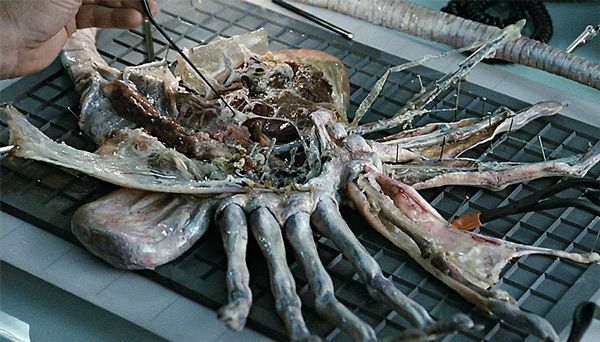 There was even an implication that two intoxicated patients were spared because of their inebriation–much like Grabbers (2012). If you like any bad 80s horror, then you should enjoy this. ← John’s Horror Corner: Scouts Guide to the Zombie Apocalypse (2015), just loads of awesome raunchy gory fun! Wow. 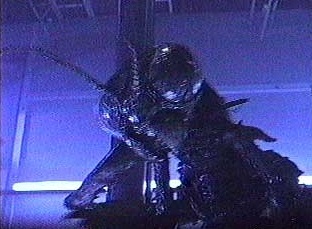 Invasion of The Body Suckers. Haven’t seen that sleeve since I was thirteen. 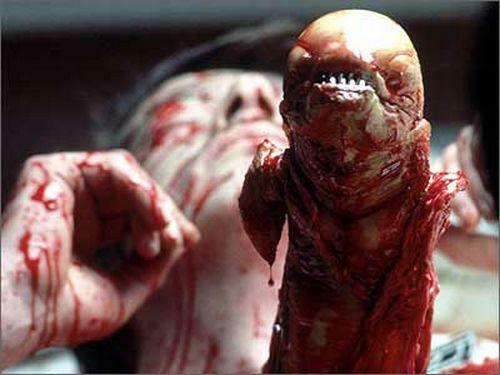 I’m all over this, you had me at Aliens rip off. Great stuff my friend, as always! Thanks. 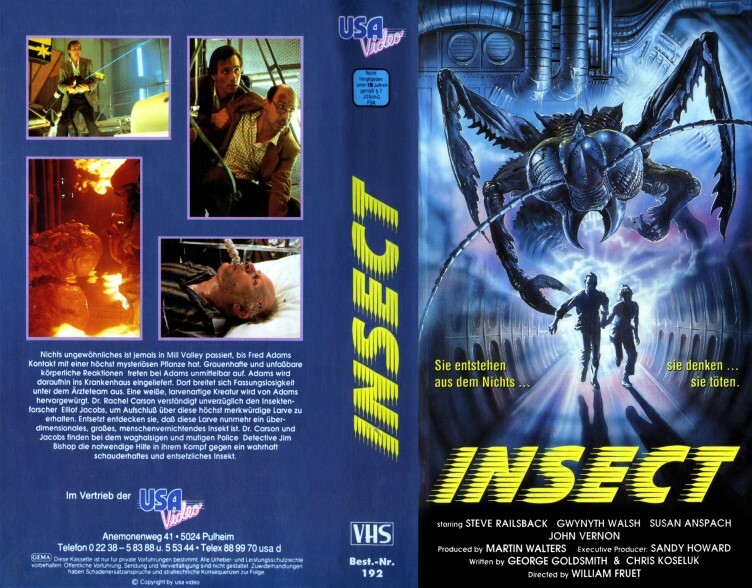 Unless you have the VHS this can only be found to watch on Youtube. YouTube it is then. I can’t deal with the poor quality. Always wanted to see this. My favorite kind of VHS artwork. Like the wonderful Spookies and The Kindred.